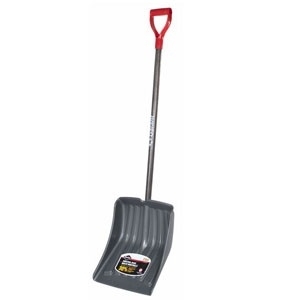 Industrial grade all-purpose shovel, 13.88 in. polypropylene blade. 30% more resistant to wear than a standard poly blade. Premium stained ash handle with a poly D-grip. Perfect for intensive uses.